As everyone’s aware by now, the United States drew England, Algeria and Slovenia in the 2010 World Cup draw. The US has never played either Algeria or Slovenia. 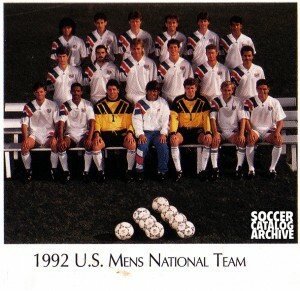 We’ve played England 10 times…lost 8…but won 2 memorable games (for Americans anyway). The US beat England in the 1950 World Cup off a Joe Gaetjen’s goal. 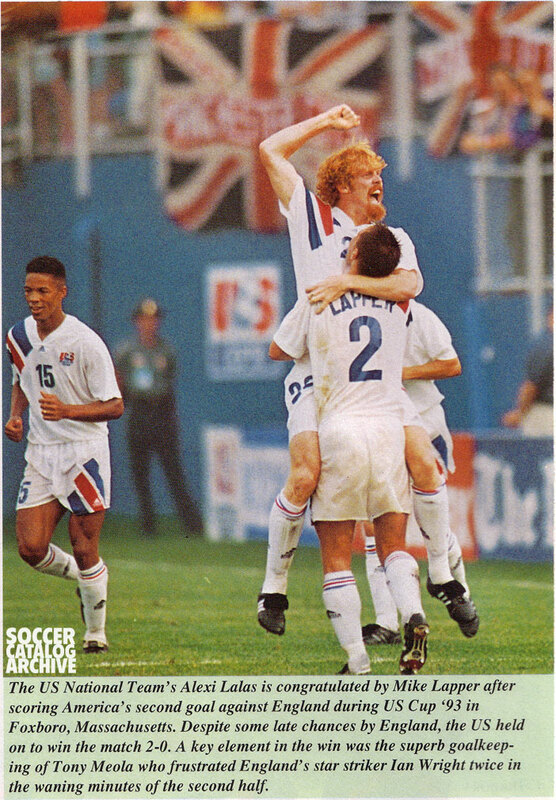 The United States also beat England at the 1993 US Cup, with some help from the now slightly polished Alexi Lalas. I found this gem in the Fall 92/Spring 93 Soccer World catalog. I always liked the Soccer World catalogs…they were huge…just like the older Eurosport catalogs. The mailman had to do a trifold in order to get it in our mailbox. The full color catalog had some great pieces of content…as well as some great photos. Has anyone else ever come across a picture of the USA Men’s National Team trying their best to look relaxed? Here’s what the team looked like in their team photo. 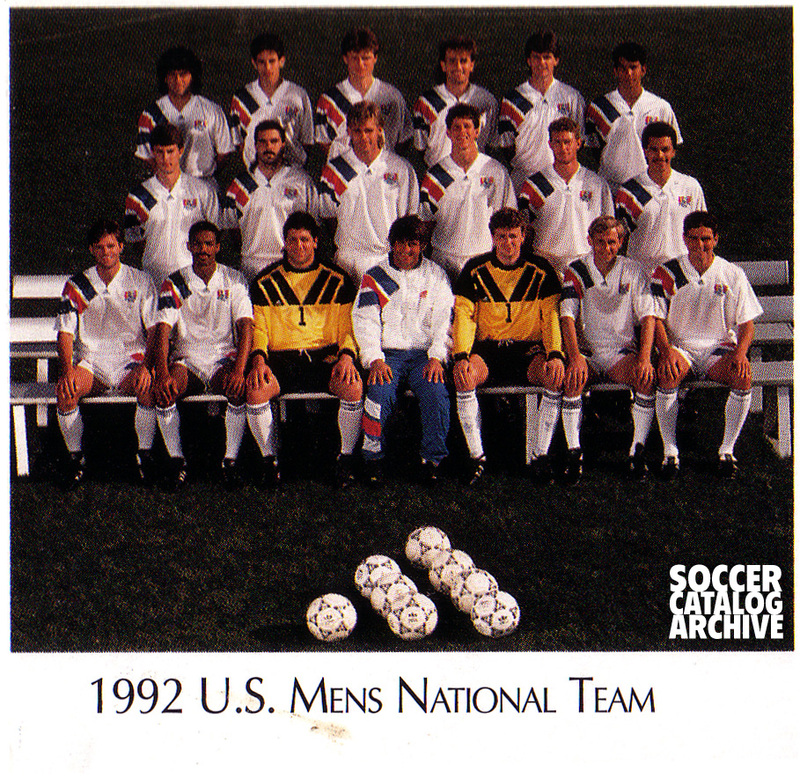 Check out the 1992 Men’s National Team looking all casual.